The Firexpress lance is what sets us apart from the rest. 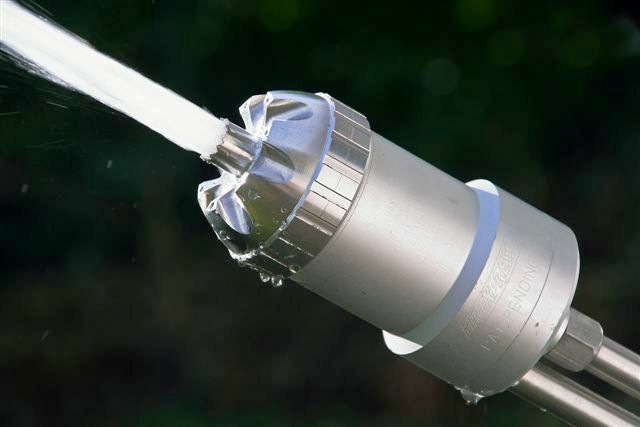 The lance has a patented dual nozzle that is able to produce both a cloud of water mist and a jet of water and foam solution with a spray range of up to 15 and 18 metres respectively. This is unmatched by any comparable system. We call the drops of the water mist for micro-drops as they are very small. Changing between the two spray modes is simply done by moving the lever. There is no need to stop spraying to attach extra equipment. The lance has two features that makes life safer and easier for the fire fighter. The bend on the lance makes it literally possible to shoot around corners, so that the fire fighter can stay protected and does not need to expose himself to the fire. The front plate of the dual nozzle is made of stainless steel and has pointy tips. This makes it easy to break windows, e.g. to get access to the cabin of a burning car. 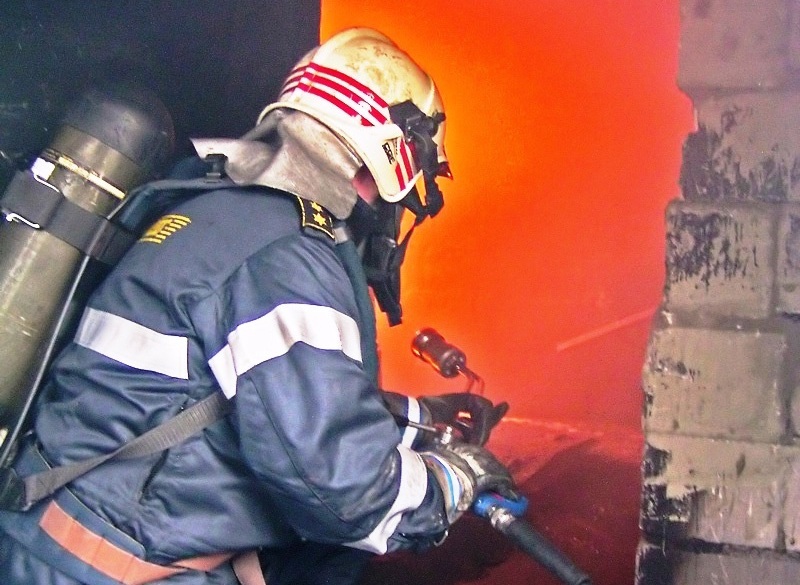 The recoil when spraying either micro-drops and a jet of water and foam is very low, so inexperienced and untrained fire fighters can easily handle the lance during extinguishing. 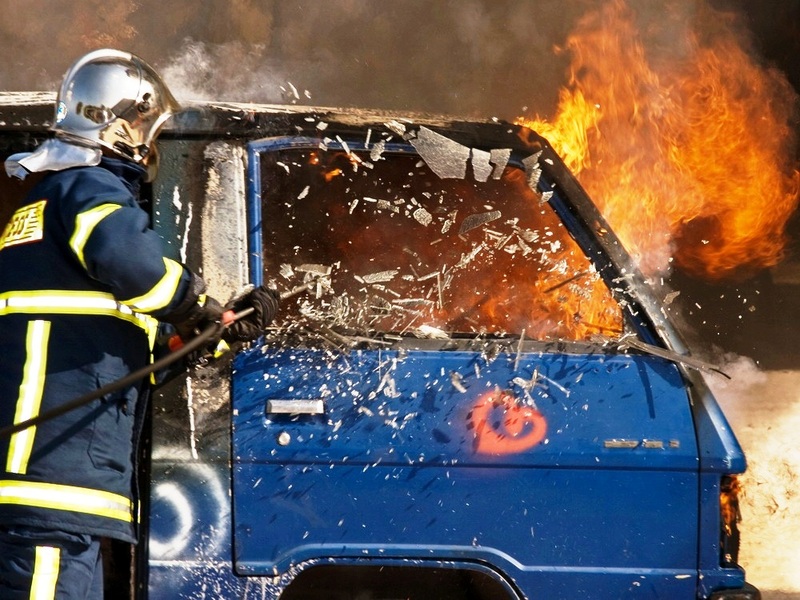 The low nozzle pressure make is possible spray directly on unprotected skin of humans to extinguish fires in clothing or to take out car cabin fires even with trapped persons. Only a slight tickling is sensed when skin is sprayed with micro-drops due to the low nozzle pressure. So there are no safety distance for the use of Firexpress unlike other systems. A short version of the lance has been made for the Firexpress fire fighting backpack for easier manoeuvring in confined spaces. The central part of the lance, the dual nozzle is however unchanged. The ability to produce micro-drops is what sets the lance apart from other types of fire fighting equipment. 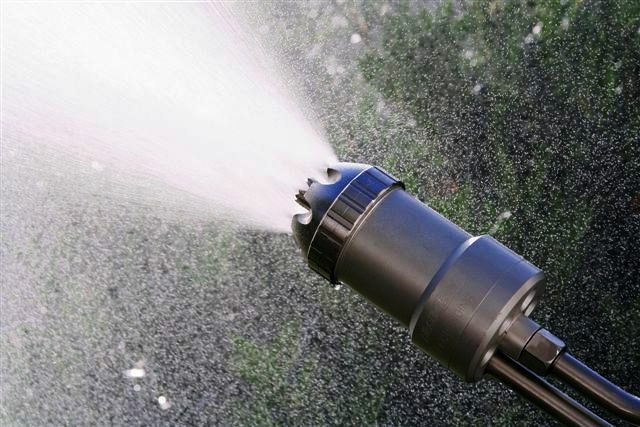 The nozzle can produce a jet of water and low expansion foam at a volume of 150 litres per minute. Due to the low pressure, it is possible to spray directly on unprotected skin. The Firexpress backpack makes fire fighting truly mobile.